The simple answer to this question is: Everything! I have even put off doing this post. I seem to be putting off doing anything and everything lately. 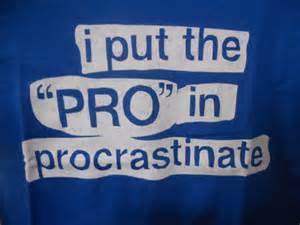 I put the ‘Pro’ in Procrastination, as I seem to have gone pro in the procrastination department. I never used to be this way. When I saw something needed to be done, I just did it. No hemming and hawing. Just doing! Now I’m lucky if anything gets done. I hate it, but have put off changing it. I should be editing my novel *“The Key”, should have started doing that months ago! I haven’t even started yet. I should be writing the second part to my published story **“The House of Mystery”. Haven’t finished it yet. I’m great at starting things. Just not real good at finishing them lately. I want to finish things. I want to finish my novel, my stories. But just can’t seem to get myself together enough to do it. It’s very frustrating, as I see these things but I don’t seem to be able to see a way of changing. My mind is scattered to the four winds, my ambition is nil. I’m always coming up with arguments as to why I can’t do certain things. I tell myself, well this needs to be done first, then I need to do that and then I will have some free time. As I don’t even do that, how can I do this?? How the hell can I get off this treadmill to nowhere??! I don’t know right now, because I have to do something else first before I can finish that thought. *The Key is my NaNoWriMo winner from last year. It’s going to be a great novel. Some day. **The House of Mystery is my published story on Etherbooks.com. It’s a two parter. The first part has been published. The second part I’m still working on it. You can find my story here. Under ‘writers’ look for JLPhillips. You’ll find both my published stories there. I find that when life gets busy with work the off days I can’t get myself to do anything but veg, pick up a book or turn on music. I never usually feel this way during summer. Maybe I just need more sunshine. I have a book on procrastination, but haven’t managed to read it yet. I make lists of things that need doing and find the dishes are easier to manage than the project. I too, have the veggies. All day today. My chair is wearing thin. I’m going to make me a t-shirt like that one, someday. :) Loved this post. It so resonates. Thank you. I think it’s kind of funny you have a book on procrastination and haven’t read it yet. 😉 I wonder what the author thinks. Hmm I’ve written a book on procrastination, hopefully people won’t procrastinate to read it. Well look at you! Getting things done and stuff! haha! Maybe it’s the time of year? Maybe it’s in the air? I don’t know, I putting it off finding out. 😉 Hopefully we both get better. Boy do I know how you feel! I’ve been suffering from that epidemic for months now, and wasn’t really sure how to break it. Setting myself up for a week of Writer’s Therapy. 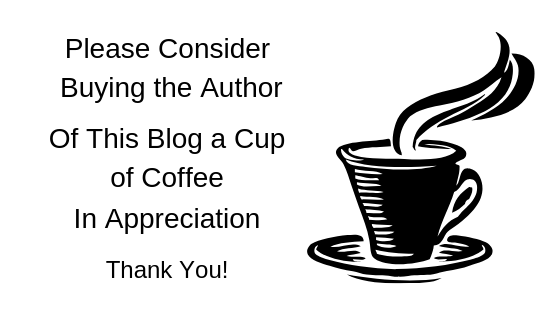 More on my blog next week, if you’re interested. Thanks! I may just give you a visit. My mind is still scattered to the four winds.